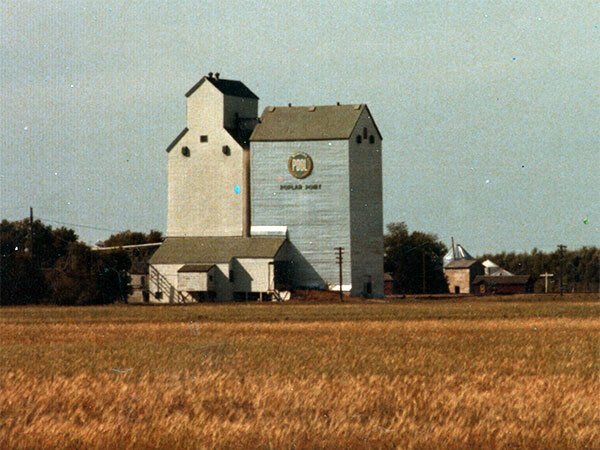 A wooden grain elevatorin the village of Poplar Point, on the CPR Carberry Subdivision in the Rural Municipality of Portage la Prairie, was built in 1951 by Manitoba Pool Elevators, replacing an earlier elevator bought from Reliance Grain in 1948. An annex was built beside it in 1969. 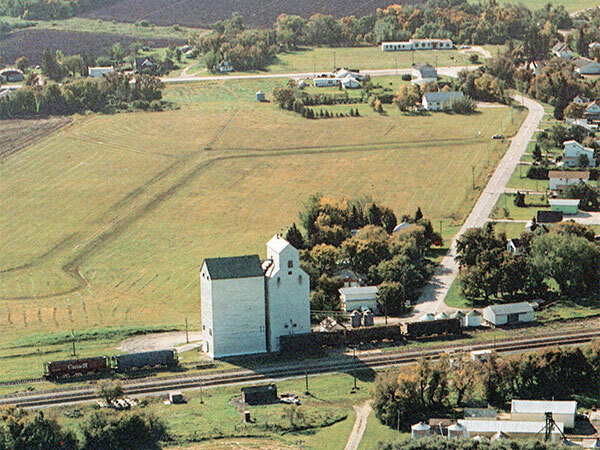 Closed in 1990, the elevator and annex were later removed from the site. We thank Julie Harris for providing additional information used here.